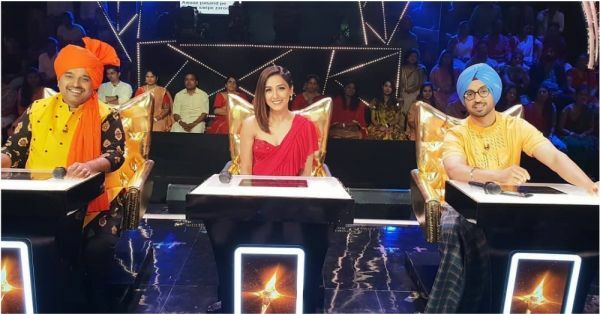 Actor-singer Diljit Dosanjh, singer Neeti Mohan and music composer Shankar Mahadevan are currently judging Rising Star 3 on Colors. They mentor upcoming singers and like every other reality show, they keep things interesting with their fun banter. However, the three music maestros have enraged Twitter because of a sexist prank that they pulled on the participants. Two of the contestants on the show, Kunal and Shikhar, during their audition, praised Neeti’s look with distasteful comments. One of them said that she was looking 'kadak' and 'raapchik' in her red saree. 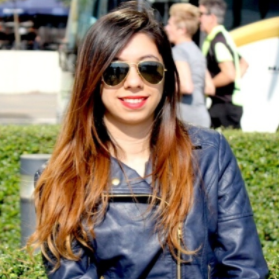 Appalled by the words that they used, Neeti snapped at them for using derogatory language to compliment a woman. She said, "I am representing all the girls here and I don’t allow this. No one can talk to me, or any girl like this in this country or any country. We three judges don’t approve this, the show doesn’t approve this, the channel doesn’t approve this way of talking." Right after she said this, she stood up and decided to walk out of the set when Diljit intervened and asked the organisers to call the contestants later for auditions. Shankar Mahadevan, too, criticised the duo for using sleazy language. Soon, the three judges began laughing and said it was just a prank. This didn't go well with gender activist Kirthi Jaya Kumar, who took to Twitter to slam the three for being insensitive and laughing it off. Here's what she tweeted. This soon started a thread on Twitter where Twitterati condemned the judges for doing something that normalises toxic masculinity and objectification of women. Ideally for such kind of behaviour in industry people get sacked, there need to be zero tolerance. It's like if it hasn't happened to you or someone close to you then it's all a joke to you. Glad I don't watch any of these crass Indian shows, everything they do is for trp like this incident. This prank have been scripted for higher TRPs, but it sure didn't win any brownie points for the show or its judges.